Hot days take their toll. Usually we don’t sense any troubles when the sun is pecking our skin delicately. In most cases, we don’t feel how violently sunlight affects our skin while relaxing somewhere in the shadow near a lake. Not without reason the sun is often called the inconspicuous enemy. Its impact always becomes plain to see, yet not immediately. The awareness of hazard that touches our body together with sun rays is great. It’s wise to pay attention towards conscious protection against UV radiation, so towards sunscreens. Which to buy? What should be taken into account while picking the right product? The rule is simple – always check the composition first! Often it happens that we put into our basket a sunscreen, just on the fly, while doing shopping. In most cases, we reach for the cheapest and the strongest cosmetic, so for the one with the highest SPF. Wrongly we assume that the highest SPF, the better protection the cosmetic provides. The truth is, the efficiency of higher SPFs don’t differ much. To understand it better, SPF2 blocks 25-30% of solar radiation, the one marked as SPF4 blocks 40-50%, whereas SPF15 poses the protection against 96% of all the sunrays that are delivered to our skin. Then, the differences aren’t that significant. To demonstrate, SPF30 blocks 98% of sunrays (so only two percent more) and SPF60 blocks 98,5% of sunlight (so only one and a half of percent than its foregoer). 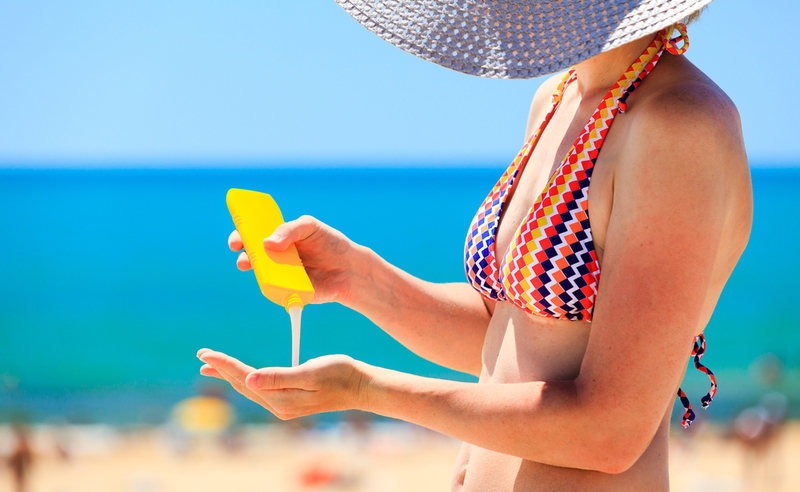 Popular sunscreens of SPF15 are the most universal of all similar products. More important than the sun protection filter itself is detailed analysis of the product’s composition. Basically, sunscreens can be divided into two types. Chemical sunscreens get into interaction with epidermis and absorb harmful solar radiation. When it comes to physical sunscreens, these create a kind of external barrier deflecting sunlight. Usually physical and chemical substances are included in one product so as to deliver the maximum protection. Combination of these features is proven clearly beneficial. Indeed, it’s worth choosing versatile products. Moreover, a decent sunscreen should contain a set of anti-oxidants and anti-inflammatory substances, which nullify action of sunrays that have already managed to penetrate skin. Actually, there are quite a lot natural substances that are good at protecting skin against the sun. A formula enriched with one of organic ingredients is a good sign. Natural protection on SPF2 or 4 level are provided by, among others, oils (such as macadamia, argan, coconut, cocoa or avocado) as well as shea butter. Protection on a similar scale is indicated by carotenoids, mainly beta-carotene of inner and external action. Sunscreen action is also delivered by chamomile and aloe extracts. Obviously, any UV filter enriched with natural sun protection substances is better for skin.